Jan Michael Vincent Spouse, Age, Daughter, Net Worth, Where Is He Now? 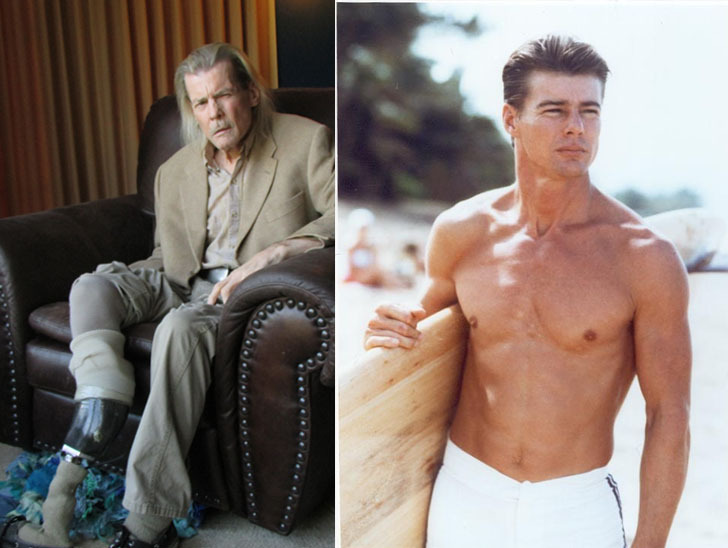 Home Actors & Actresses Jan Michael Vincent Spouse, Age, Daughter, Net Worth, Where Is He Now? Some Hollywood actors tend to become the center of public attention and then fade away probably because they are typecast or are not versatile enough to make the most of their acting opportunities. Jan Michael Vincent belonged to neither of these groups and this left many of his fans shocked at the turn-out of his acting career. The bitter truth is that the once-rising star of the television series Airwolf and movies like Baby Blue Marine practically self-destructed within a short space of time as a result of some self-destructive habits, including drug and alcohol addiction. Unlike some other actors who have had their issues with addiction and the law, Jan was not able to maintain his relevance in the industry by remaining on the radar of producers and directors. Consequently, his acting career took a downward plunge and crashed. Born on July 15, 1944, in Denver, Colorado, the retired American actor is the son of Lloyd and Doris Vincent. He grew up alongside his only sibling, Christopher Vincent, but while he was still young, his family moved to Hanford, California, where he spent most part of his youthful days. Jan Michael Vincent attended the primary school in Hanford, and later graduated from high school in 1963. Moving forward, he enrolled in Ventura College in Ventura, California, majoring in Drama. Just when he was about to finish a stint with the California Army National Guard, his good looks drew the attention of a talent scout. Consequently, Jan landed his first acting role as Brown in the 1967 movie, The Bandits (aka Los Bandidos). This was followed by many other roles in television series and movies like The Banana Splits Adventure Hour, The Survivors, Lassie, and Bonanza. He became popular for his role as attack helicopter pilot Stringfellow Hawke on the television series Airwolf, which ran from1984 until 1987 and as Matt Johnson in 1978 coming of age film, Big Wednesday. Once the highest paid actor on TV, Jan’s undoing was his obsession with hard drugs and alcohol and also his numerous run-ins with the law which made him spend weeks in jail. This started during his early acting career after he signed a contract for the TV series Airwolf which would pay him $200,000 per episode. Unable to manage the fame and fortune, it began to affect his personal life. First, he was arrested for growing marijuana in his home at age 34 but it later became obvious that the problem was not just growing it, but using it. He was subsequently arrested near his home in Malibu, California, for a DUI and at this time, it was found out that he was not only into marijuana but also alcohol and cocaine. To make matters worse, Jan Michael Vincent allowed his addiction to affect his acting career as he would show up on the set of his high paid TV series high or drunk. Producers managed to put up with his behavior because of the success of the TV show, but as soon as it ended, his career as an actor also ended with it as his demons got the better of him. Over the years, his addictions led to three fatal road accidents which he survived by the whiskers. The first was in 1992 while the second which happened in August 1996, Vincent broke three vertebrae in his neck and lost the use of his vocal cord due to an emergency medical procedure which left him with a permanent raspy voice. If he had any thoughts of going back to acting, this particular accident squashed it. The third accident happened in September 1997. Later on, the lower part of his right leg was amputated after he contracted an infection due to complications from peripheral artery disease. One month after staying in a recovery ward, he developed another infection that forced doctors to cut off even more of his right leg. Now, the one-time actor moves around with a prosthetic limb and sometimes a wheelchair. 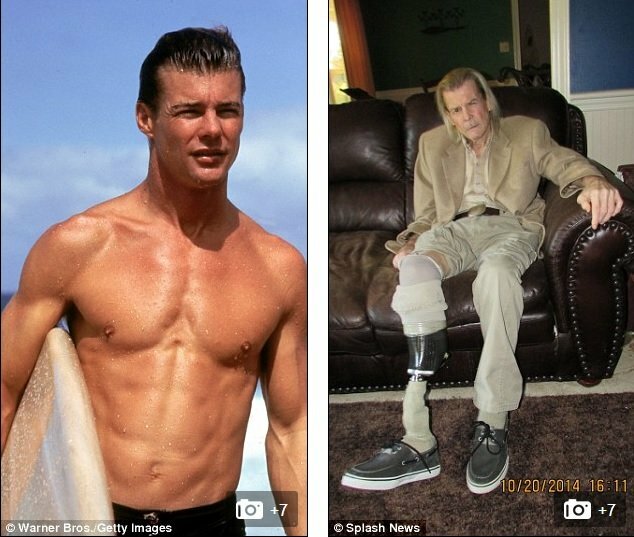 In addition to his battle with many health issues, Jan Michael Vincent also admits that he has not won his battle with alcoholism. Jan Michael Vincent was one of the actors in the 1970s who took home the highest amount of money for their roles. However, the crash of his acting career, his obsession with alcohol and drugs, his too many problems with the law and the series of health issues he has had, also resulted to a crash in his net worth. Some reliable sources have pegged his current net worth at a meager $200,000. Considering the fact that he has nothing doing now, it is likely that his bank account will not witness any form of increase any time soon. As a matter of fact, he even has a $70,000 debt hanging on his neck. The talented actor has been married thrice. He first got married in 1968 to his college sweetheart, Bonnie Poorman and their union produced a daughter named Amber Vincent. Sadly, they did not live happily ever after as they got divorced 9 years later, on January 2, 1977. Jan Michael decided to give marriage another shot and tied the knot with Joanne Robinson in 1986 but just like his first marriage, this also did not work out so Joanne left him in 1998 and entered a restraining order against the actor, alleging that he had abused her since the beginning of the marriage. He got married the third time to a lady named Patricia Ann and they have been together ever since. The duo first met during the actor’s Airwolf days but later got married after they reconnected in 2000. Jan Michael Vincent’s daughter, Amber has been away from public eyes and has blocked off every of her father’s attempt at communicating her. According to the retired actor, one of his last wishes is to rekindle a relationship with his only daughter. The former celebrity actor now lives near Vicksburg, Mississippi. He sits quietly at home and tries as much as he can to manage his life with a prosthetic limb and wheelchair with the devoted support of his wife, Patricia Ann.